The recent disappearance of a 42-year-old matriarch is another gloomy note in the gloomy soundtrack of the world's best-known population of orcas: the Southern Residents, which famously summer in the Salish Sea straddling Washington State and British Columbia. The iconic whales have been closely monitored for several decades, and the female in question, known as J14 or "Samish", hasn't been seen for weeks. "Our last on-the-water encounter with her was on the 31st of July," wrote Erin Heydenreich from the Center for Whale Research in an update last month. "We have had three subsequent encounters with the rest of J14's group since then, but she was nowhere to be found ... Not finding an individual with their family group for several encounters is a bad sign. It almost always means that individual has died." In the matriarchal society of the Southern Residents, where tight-knit groups ("matrilines") are made up of a matriarch and her descendants, the death of a mother and grandmother like Samish can be a major loss. Really, any death is significant for these whales, whose populations are unquestionably dwindling. These celebrity orcas have been listed as endangered in both Canada and the US for more than a decade, and they're as imperilled as ever. 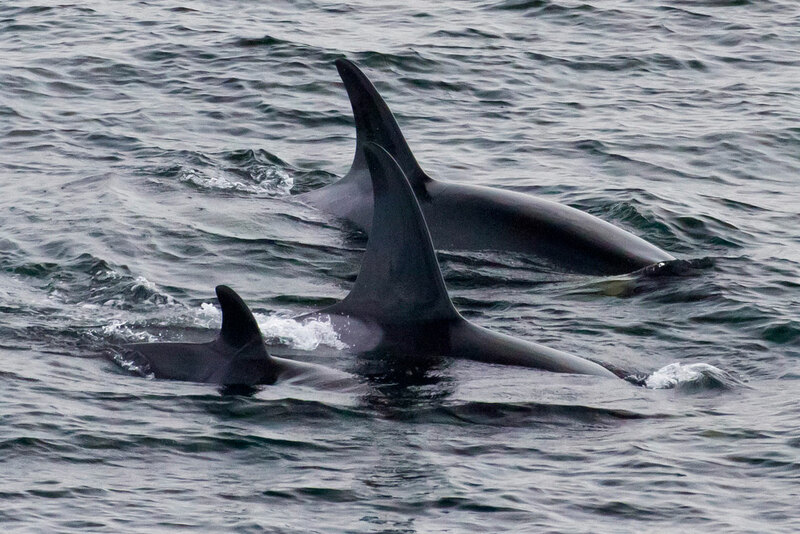 Of the four populations of fish-eating "resident" orcas* in the Northeast Pacific, this one is the smallest: it contains some 80 whales belonging to a single clan (the J clan) and three pods (identified as J, K and L pods). A relative bumper crop of newborns last year was a bright spot, but overall the Southern Residents have suffered population declines and alarming rates of miscarriages and calf deaths. Toxic chemicals such as DDT, banned for decades in the US, still accumulate in their tissues via their fishy diet; these are among the most contaminated marine mammals known. They're also stressed by the fleets of whale-watching vessels that shadow them and by ambient shipping noise. And, most fundamentally, they're going hungry. "It seems as though the Southern Residents are not living up to their expected life spans," notes Heydenreich. "The most obvious cause of this is shortage of food. Chronic food scarcity is known to cause reduced lifespans in many other mammals, including humans. [It] feels like we keep coming back to this point – the whales don't have enough to eat!" The Southern Residents are picky eaters, with a particular appetite for Chinook salmon. Chinook are heavyweights among their kind in the Northeast Pacific: bigger than other species and packed with calories. 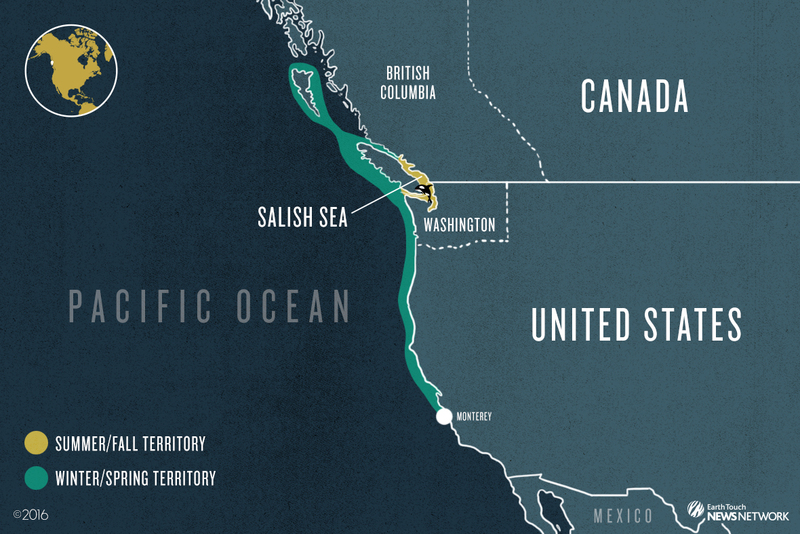 From late spring through autumn, the Southern Residents hunt their favourite food in the Salish Sea, a network of coastal waterways between Canada's British Columbia and the northwestern tip of Washington State. The Chinook beeline here to spawn in the Fraser River and the drainages of Puget Sound. Other kinds of salmon also feature in the orcas' summertime diet, but these smaller fish don't offer nearly as much bang for the whales' buck. Meanwhile, between autumn and spring, the Southern Residents shake off their "resident" label to cruise far and wide along the outer coast: from the Haida Gwaii archipelago off northern British Columbia as far south as California's Monterey Bay. Satellite-tagging studies show us that these are also salmon-eating months, particularly at the mouth of the Columbia River. After spending the summer hunting salmon in the Salish Sea, the orcas move off to cruise far and wide along the outer coast. But Chinook in the Southern Residents' foodshed are not what they used to be. And that's especially true in the Columbia Basin, once the world's greatest Chinook watershed: some 10 million of the fish, along with millions of other salmon and steelhead trout, once spawned here each year. Capable of muscling hundreds of miles upriver to distant spawning grounds, Columbia Chinook could be enormous: the fabled "June hogs" sometimes weighed well more than 100 pounds (45kg). Today, the Columbia's runs are a mere 5 to 10 percent of their historical magnitude, and June-hog-sized fish are mighty rare. Dams have blocked and degraded prime spawning and nursery habitats, and even those equipped with "fish passages" can obstruct and kill young salmon journeying downstream. "Perhaps the single greatest change in food availability for resident killer whales since the late 1800s has been the decline of salmon in the Columbia River basin," notes the US National Marine Fisheries Service in its recovery plan for the Southern Residents. Given such diminished stocks, the Southern Residents are forced to work harder and eat more to compensate for scarcer, smaller and leaner Chinook. Threats intertwine for such hungry whales. Orcas eating greater numbers of toxin-dosed salmon translates to more contaminated orcas – and a famished whale using its own toxic blubber stores for energy reabsorbs those pollutants, and can pass them on to calves during nursing. Even more precious energy is lost when the animals are harried by ships. As the latest research underscores the vital link between Southern Residents and Chinook, calls for dam removal in the Columbia River – that once-epic salmon factory – have intensified. Central to this discussion are four controversial dams on its greatest tributary, the Snake River, which many conservationists believe should be breached to boost salmon survival and habitat. And amidst the search for a solution to the orcas' hunger crisis, fierce, long-standing debates over resource use in the Pacific Northwest are raging. Meanwhile, in the Salish Sea brine, the J-pod adjusts to the loss of another family member. * The Southern Residents share their range with "transient" orcas that prey on marine mammals, as well as "offshore" orcas thought to munch mostly on sharks. 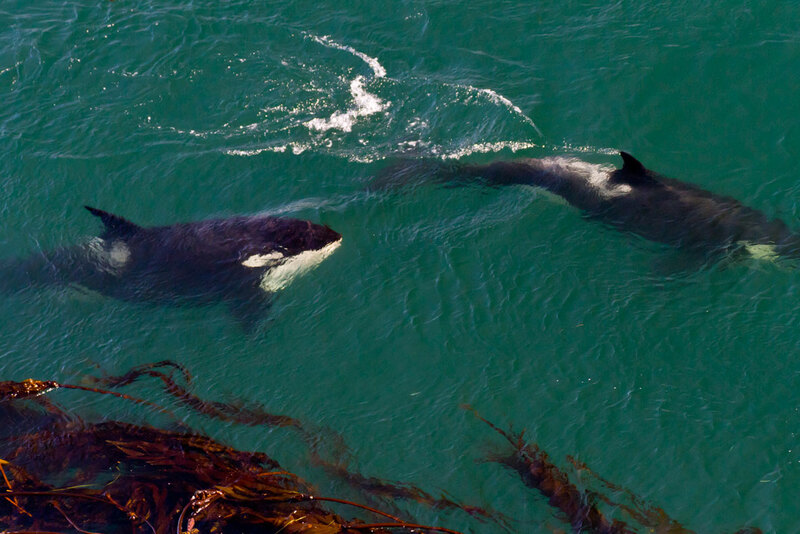 Residents, transients and offshores are considered distinct "ecotypes" of killer whale. For killer whales in Canada's Hudson Bay, melting sea ice is opening up new hunting grounds.